This post may feel like an advert – to an extent it is. I won’t plug events very often; however as a charity event in aid of prostate cancer and I genuinely think it will be great fun for anybody able to take part, so hence the unashamed plug. The Race for Science will happen on 30th March in and around Cambridge. There is still time to enter, have fun and raise some money for a deserving charity at the same time. 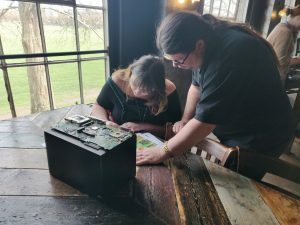 A few weeks ago friends of ours, Jo (Randombird) and Josh were celebrating their birthday’s, we split into a couple of groups and had a go at a couple of escape room challenges at Lock House Games. Four of us, Josh, Isy, Jane and myself had a go at the Egyptian Tomb. Whilst this was the 2nd time Isy has tried an escape room the rest of us were N00bs. I won’t describe the puzzles inside because that would spoil anyone’s enjoyment who would later goon to play the game. We did make it out of the room inside our allotted time with only a couple of hints. It was great fun, and is suitable for all ages our group ranged from 12 to 46, and this would work well for all adult teams as well as more mature children.. Anyway having had a good time, and whilst we waited for other group to finish their Secret Agent challenge, I spotted a request for people to Beta test some puzzles for the Prostate Cancer Research Centre‘s 2019 Race For Science to happen a couple of days later. I volunteered my time and re-arranged my Monday so that I could spend the afternoon to trial the escape room elements of the challenge. Some great people involved and the puzzles were very good indeed. I visited 3 different locations in Cambridge each with very different puzzles to solve. 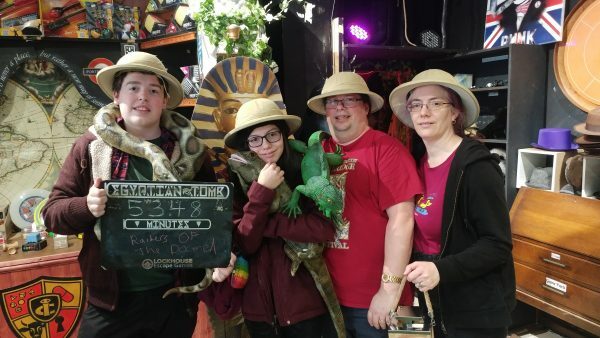 One challenge stood head and shoulders above the others; not that the others were poor – they are great, at least as good as a commercial escape room. The reason that this challenge that was so outstanding wasn’t the because of the challenge itself, it was because it had been set specifically for the venue that will host this challenge, using the venue as part of the puzzle (The Race For Science is a scavenger hunt and contains several challenges at different locations within the city). Last Thursday I went back into town in the afternoon to beta test yet another location – Once again this was outstanding, the challenge differed from those that I had trialed the previous week. This was another fantastic puzzle to solve and took full advantage of its location, both for it’s ‘back story’ and for the puzzle itself. After this we moved onto testing the scavenger hunt part of the event. This is an played on the streets of the city on foot following clues will take you in and around some of the city’s museums and landmarks – and will unlock access to the escape room challenges I had been testing earlier. My only concern is that it is played using a browser on a mobile device (i.e. phone). I had to move around a bit in some locations to ensure that I had adequate signal. You may want to make sure that you have fully charged battery!